Did you know that iStock is the first miscrostock agency? It was founded in April 2000, although the first attempt for launching was the year before. That means the agency has been in the industry for over 15 years. Acquired by Getty Images in 2014, the stock photo site has cemented its legacy in the creative world. If you are looking for the best value for your tight budget, the Essentials collection is the perfect option for you. One image in the collections requires one credit, which can be purchased in packs starting at 3 credits for $33 – no matter the resolution. Videos are also available at 6 credits each. The Signature collection contains the best photos and videos in the stock photo sites. You can’t find them anywhere else. So if you are aiming to create a design unique to your brand, this is certainly the collection to browse. Images cost 3 credits while video are available at 18 credits. The Essentials subscription only gives you access industry standard stock photos in the Essentials collection. On the other hand, the Signature subscription allows you to access every image on iStock. That includes millions of images from the former collection – plus the handpicked images from the latter that you can only find in the stock site. iStock has an image for your every creative need. If you want budget photos that you can use on professional designs, Essentials is the perfect collection for you. If you want more artistic imagery and are willing to spend a little more for them, Signature collection is where you will find first class imagery. When you become part of a creative community, it is important to incorporate high quality images to attract and retain customers and readers. While there are a number of these scattered all over the Internet, not all of them come with the right license to protect you against copyright laws. Surely, you can check out cheap stock photo sites, but may also want to try one of the best – Getty Images. Getty has a higher pricing and plans but that is not a problem anymore. What do you think makes Getty Images an accessible stock photo website now? You are thinking about a Getty coupon, aren’t you? We’re sorry to say it, but you are wrong. You may already know that the stock photo agency does not offer coupons. What is does offer is Ultrapacks. These pre-pack images allow you to stock up and save on particular imagery and license. They also do not expire, so you can use your downloads anytime you want. What should you know about Ultrapacks? 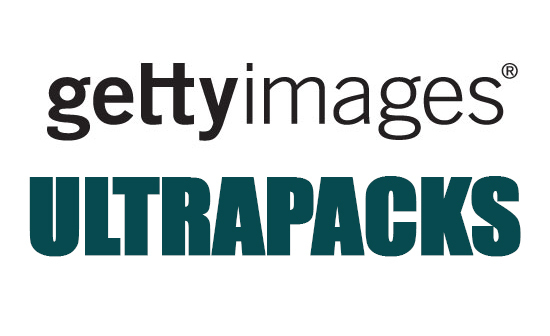 Aside from the fact that they are pre-pack images that do not expire, there are a lot more things you should know about Getty Images Ultrapacks. These will help you realize that you do not need to find a Getty coupon to enjoy great discounts. They come in different volume sizes. Ultrapacks come in packs of 5, 10, 15 and 25 images. There are also larger packs that contain 50 to 250 images. You can also choose among low, medium and high resolution. Determine your creative needs and choose the volume size and resolution that fits. They offer generous discounts on Getty pricing. With the new Ultrapack, each photo is discounted. The average for a low resolution Getty image is $125 but with the Ultrapack, you can get a pack of 5 images for $575. This means one image will only cost $115, giving you up to 8% of discount. The bigger the Ultrapack you purchase, the more savings you can enjoy. Just like a Getty coupon, you can get more savings when you purchase a bigger Ultrapack. For instance, a pre-pack of 25 images costs only $2500 which means you can get one photo for a price of $100 and save up to $625 in total. You can access over 50 million images. Getty Images boasts over 50 million premium content, waiting to be explored. When you purchase an Ultrapack, you also get to access the world’s most powerful imagery. You can get all these with the new Ultrapack. You do not have to apply any promo code upon check out. What are you waiting for? Get the Getty Images Ultrapack that fits your creative needs and budget and enjoy discounts just like having a Getty coupon.